What are lumineers? 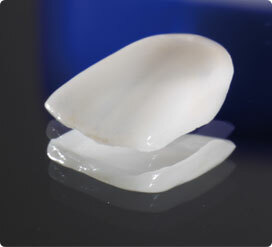 They are dental products made of a very thin layer of porcelain placed over the enamel portion of the tooth. These thin shells are designed to strengthen tooth structure while improving the esthetic appearance of a patient’s smile. A veneer on the other hand, is a layer of porcelain that is used to replace the enamel of the tooth. 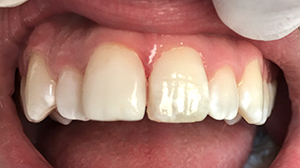 Both veneers and Lumineers strengthen tooth structure and give the patient a maximum cosmetic result. Who is a Candidate for Lumineers or Veneers? How Do Lumineers & Veneers Work? Lumineers, sometimes called laminates, are typically placed without the need for drilling or anesthetic shots. Once the tooth has been gently cleaned, thin porcelain shells are adhesively bonded to the front surface of the tooth to enhance the natural look of the teeth with a minimally evasive procedure. Placing dental lumineers generally requires two visits. Each visit will last approximately one hour. Veneers, also known as porcelain veneers or porcelain laminates, also take two visits. Veneers require your dentist to make an impression of your tooth, which is then sent to a lab where the veneer is made. In order to do this, the dentist will remove approximately ½ millimeter of enamel, making room for the veneer to fit nicely over the tooth. Sometimes this procedure will also require local anesthetic. 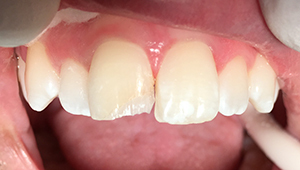 Dentists typical receive the finished veneers after 1-2 weeks. Your dentist will clean the tooth being covered and trim the veneer as needed so it fits perfectly. Temporary cement is often used first to make sure the placement is correct, after which permanent bonding is employed. A natural smile appearance. Lumineers are extremely thin (approximately 0.2 mm) and made of nearly clear materials. Taking measures to improve your teeth will make you feel more confident and capable. If you have gaps in your teeth or minor teeth rotations, it may a good idea to talk to our dental team about a lumineer or veneer procedure.